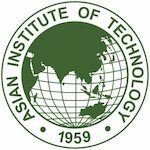 The Asian Institute of Technology, founded in 1959, is an international institution for higher education in Khlong Luang, Thailand. It specializes in engineering, advanced technologies, sustainable development, and management and planning. Its aim is to "promote technological change and sustainable development" in the Asia-Pacific region.